A stunning selection of kawaii childrens/babies night lights. 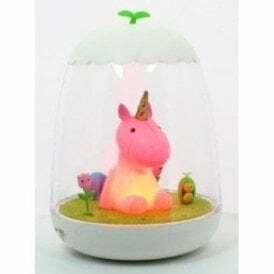 The selection available is a pink bunny, pink unicorn, polar bear and a cloud light in a domed shaped clear case. Tap it to light it or turn off. All great for boys aswell as girls. Its rechargeable and portable and comes with a USB cable. 2 year guarantee.